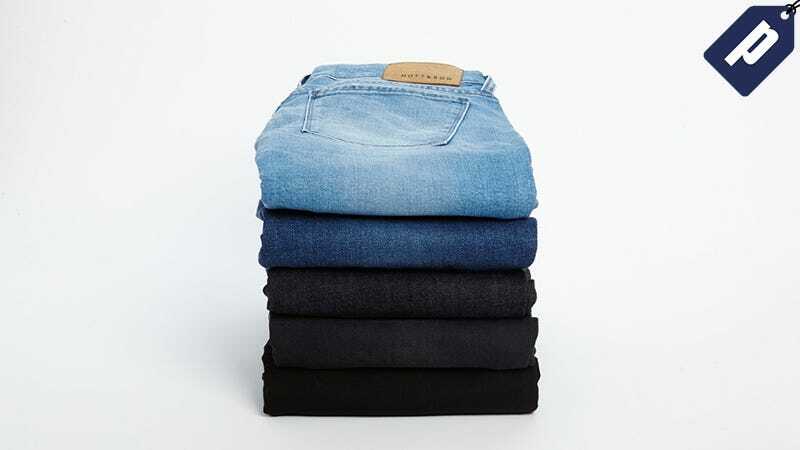 Snag high quality jeans from Mott & Bow, the online retailer that ensures the perfect fit. Starting at $96, choose from their newest Dynamic Stretch and 4-Way Stretch fabrics, along with four other styles in fifteen different fabric and color combos. Plus, you can try on two sizes and send back the pair that doesn’t fit. Save 20% on your first order. Full details here.